The average sports fan typically spends each season watching their idols on television screens or from afar in the stands. Many dream of the opportunity to meet their favorite players, but never get the chance. 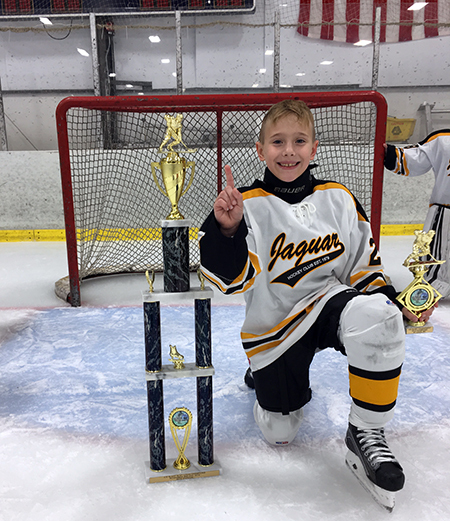 One persistent youngster made his dream came to true when he came face-to-face with his hockey idol; Patrick Kane. Young Marty and his father tried on numerous occasions to get up close and personal with the Chicago Blackhawks star at practices and hockey conventions with no success. Undeterred, the Plecki’s got seats on the Blackhawks bench, essentially the closest thing to being on the ice during the game, in an effort to increase their chances of getting Marty to meet Patrick Kane. The father and son duo sat patiently on the bench hoping for the best and Marty was decked out head to toe in a complete Blackhawks uniform, hoping to catch the attention of his favorite player. Marty is hoping he will some day get his very own Upper Deck Young Guns rookie card! After waiting for a short period, their perseverance was rewarded when Marty and his father were finally able to get a one-on-one with Patrick Kane when he came over to the Blackhawks bench. Marty was so star struck that he was left nearly speechless, but excitedly exchanged a fist bump with Kane and gave him one of his favorite cards. Marty quietly brimmed with joy the entire time, taking in the surreal moment he had waited so long for. The whole interaction was recorded, but the most memorable moment turned out to be a photo that captured the youngster handing Kane one of his much loved cards. The photo ended up being selected for an actual Upper Deck card. After seeing such whole hearted dedication to his team and favorite player, Upper Deck felt compelled to further commemorate this special meeting. 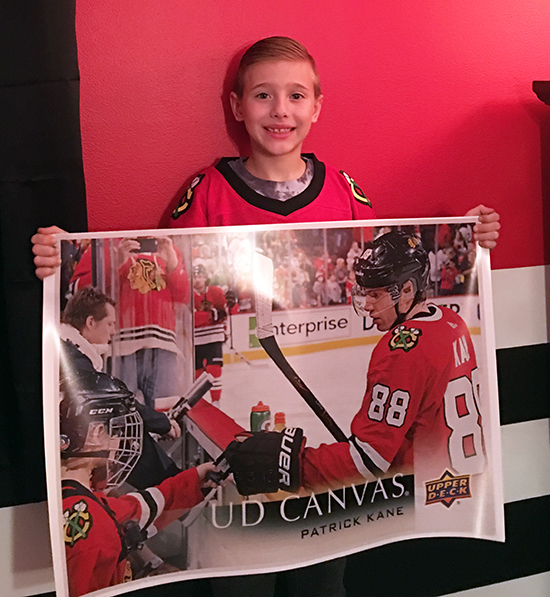 We decided it would be fun to surprise Marty with a personal hockey card poster of him meeting Kane as part of the Upper Deck Random Acts of Kindness program (#UDRAK) and the youngster was all smiles! Marty was thrilled to share some cards with Patrick Kane! 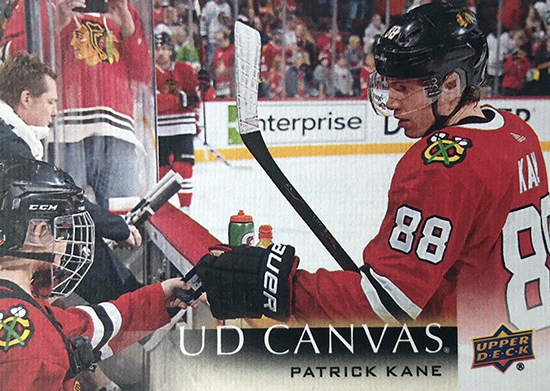 Meeting Patrick Kane and interacting with him will no doubt be an unforgettable memory for Marty and Upper Deck was proud to help capture that moment as we look to bring fans closer to the game and players they love.